On top of the recent impressive relaunch of its Custom Shop website, Gibson has added a new model for 2019. The Gibson Custom Shop Les Paul Special Double Cut Figured Top is a mash-up of classic Gibson models from 1959 and 1960, combined into one guitar. 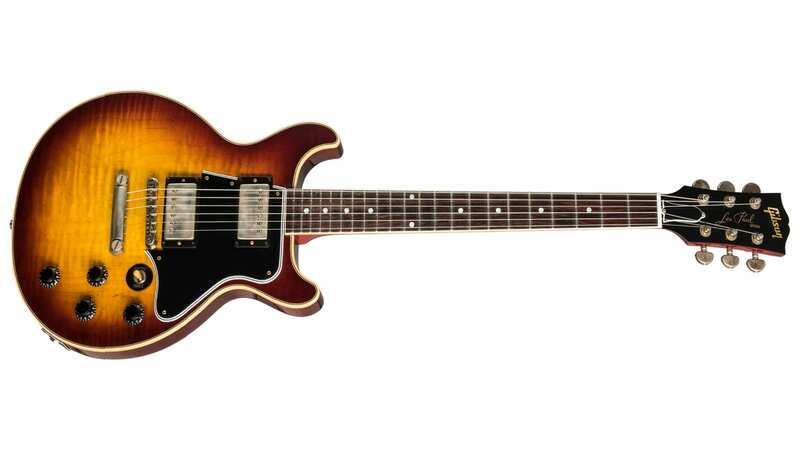 The new 2019 Gibson Custom Shop Les Paul Special Double Cut Figured Top comes in either a Bourbon Burst, Cobra Burst and Blue Burst nitrocellulose finish applied to a highly figured two-piece flame maple top. 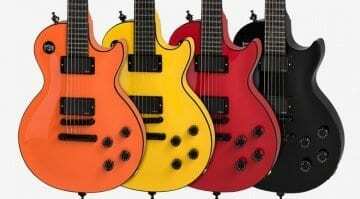 You don’t normally see Les Paul Special Double Cut models with anything but plain mahogany bodies, so these new models really do stand out from the crowd. 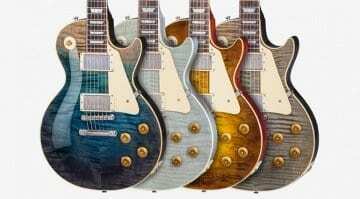 Especially as they are bound bodies, which, again, is something you do not normally associate with Les Paul DC models. 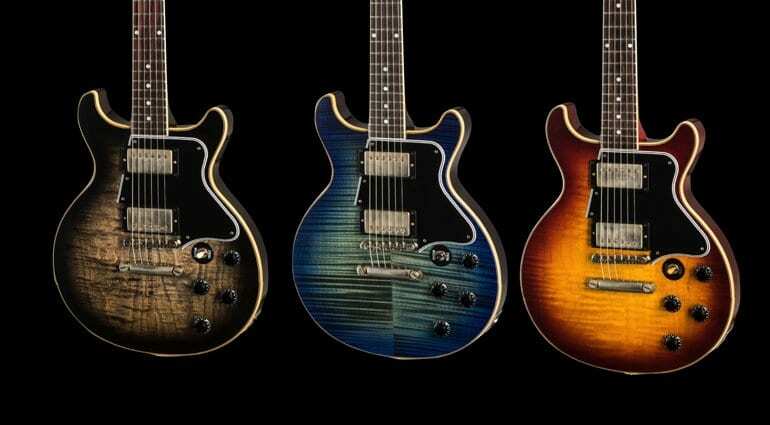 Yes, you have the mahogany body and neck here, but those tops really make these new models pop! 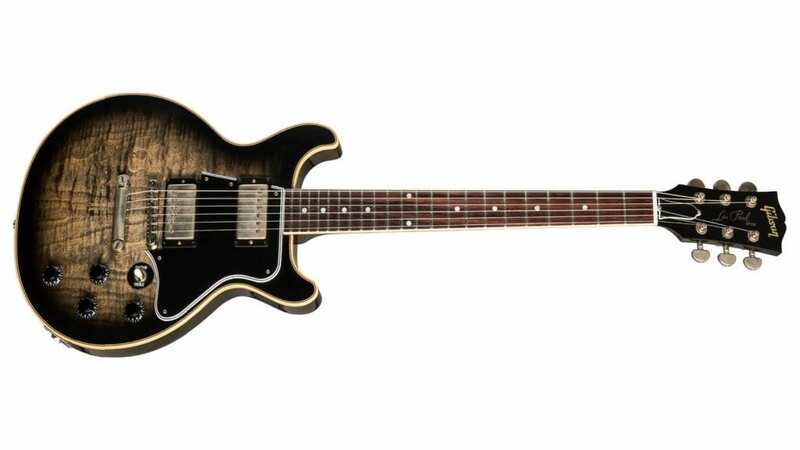 Elsewhere, we get Gibson’s Custombucker Alnico III humbucking pickups, twin Volume/Tone controls wired via a three-way toggle switch. The ABR-1 bridge and stop bar hold everything down. The neck is the standard 24.75″ made of mahogany with an Indian Rosewood fretboard that’s fitted with 22 medium jumbo frets. The simple Pearloid dot inlays look tasteful and don’t distract from that flame maple top. The headstock has Grover Kidney tuners. 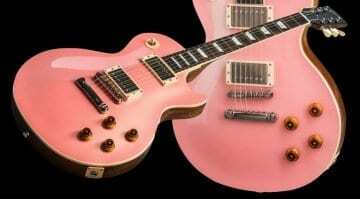 These new Les Paul Special Double Cut Figured Top models aren’t exactly cheap, but if built well could be great guitars. The highly figured maple tops will probably divide opinions, but I think it kind of works on this model. 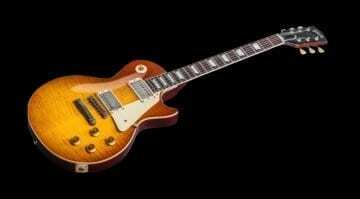 Having twin humbuckers and great upper fret access will make these good all-round instruments as well. I also like that you can order them in left or right-handed versions.